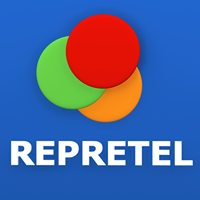 General TV Channel / Representaciones Televisivas (Televised Representations) S.A., commonly known as Repretel is a Costa Rican media company, founded by Angela Gonzalez, that came into competition with Teletica and Canal9. Repretel owns Costa Rican channels 4, 6, 11,46 and 2. Repretel began operating in 1993 with Channel 9, in 2000 the lease expired and moved to Channel 4. The company also operates 11 radio stations. In 2012, Repretel bought Channel 2, from Mrs. Roxie Blen and branded the channel as CDR 2.